As a mom, I know what it is like to want the best for your children. Having a happy, healthy child is a major part of that. Regular dental care is extremely important for the health of the whole body and self-esteem. However, we also understand that dental appointments can cause anxiety for children. The latest guidelines from the American Academy of Pediatric Dentists is that your child has their first dental visit by his or her first birthday to establish a good "dental home." This appointment will allow me to check early-erupting teeth and help educate you on proper care for your child's teeth and gums. As a dentist, I know just how important a child's first dental experience is. It sets the tone for how they feel about dentistry for the rest of their life. This is why my staff and I are passionate about making them as comfortable as possible while having a fun-filled experience so that they are excited to come back. We dedicate time at their appointment to show them, as professionals and parents, the compassion and care that they deserve. The general rule is six months after eruption of the first tooth, or before the child's first birthday. This may seem early, but taking your child to the dentist at a young age is the best way to prevent problems such as tooth decay, and can help parents learn how to care for their child's teeth. After all, decay can occur as soon as teeth appear. Bringing your child to the dentist early often leads to a lifetime of good oral care habits and acclimates your child to the dental office, reducing anxiety and fear, which will make for plenty of stress-free visits in the future. We have found the best way to prepare young children for their dental visit, is by reading a story or watching a show in which the character is visiting the dentist. This is especially true for books/shows that include their favorite character. Many of these books can be found at the local library. 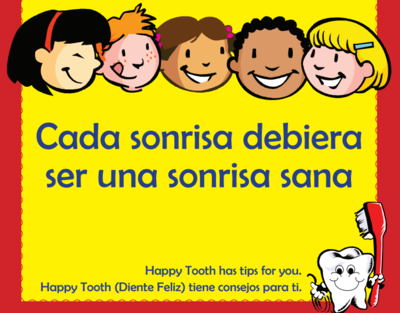 Click Here for a list of children's dental books. Another good tip is to have all paperwork completed prior to the visit so your child does not start to lose patience having to wait longer for their appointment. Many first visits are nothing more than introductory icebreakers to acquaint your child with the dentist and the practice.They may just want to take a ride in the chair-and that's ok. We don't expect to be able to do everything the first visit. If the first visit isn't going that well, this doesn't mean their next visit won't either. Many times children are frightened the first visit, but return excited and jumping into the chair. Appointments for young children should always be scheduled earlier in the day, when your child is alert and fresh. For children under 36 months, the child may be more comfortable sitting on a parent's lap. The dentist and hygienist will be able to answer any questions you have and try to make you and your child feel comfortable throughout the visit. The entire dental team is commited to providing a relaxed, welcoming environment for your child. Help your child choose healthy drinks and snacks. As soon as the first teeth come in, begin brushing them with a small, soft-bristled toothbrush and water. If you are considering using fluoridated toothpaste before your child's second birthday, ask your dentist first. We recommend parent-assisted tooth brushing until at least age 6. Many children like to brush on their own, followed by a grownup to make sure nothing has been missed. The best way to teach a child how to brush is to lead by good example. Allowing your child to watch you brush your teeth teaches the importance of good oral hygiene and instills a sense of value for their teeth. 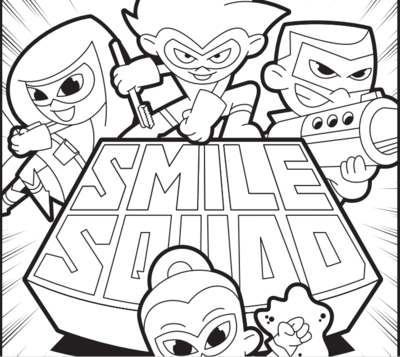 Join the No Cavity Kids Club! Adiska Family Dental has a no-cavity kids club, which is designed for children who have taken great care of their teeth throughout the year. 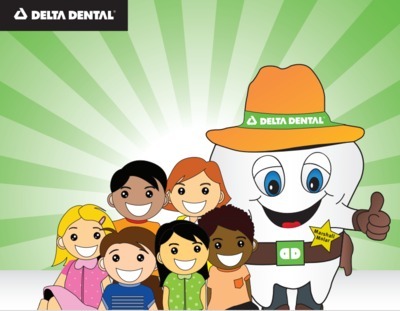 Once a year, always in the summer, team members from Adiska Family Dental treat all of the children who didn't have cavities to a free ice cream sundae at one of the local ice cream parlours. Upon arriving at the ice cream social, children are entered into a drawing for a new bike. Don't worry, if your child is prone to dental decay, they will still receive a special t-shirt once their fillings are done and they are cavity-free!